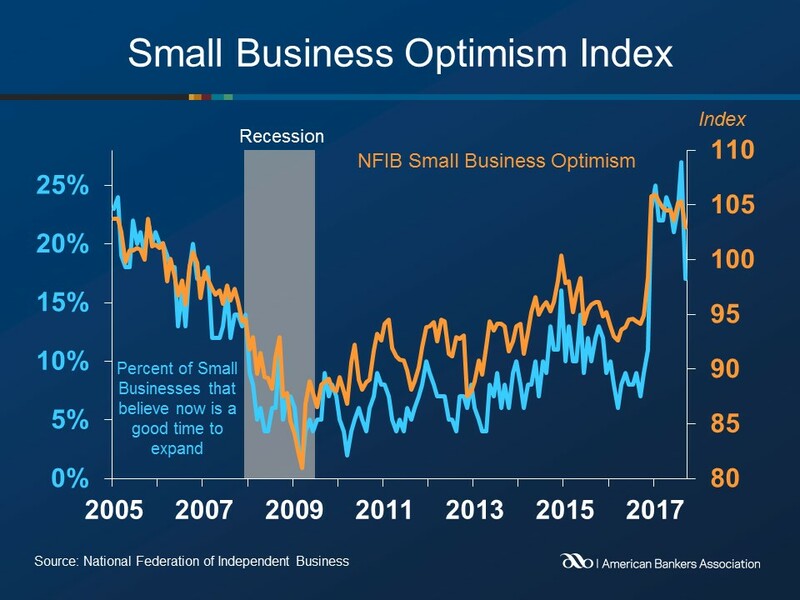 The NFIB Small Business Optimism Index ticked downwards to 103.0, its lowest reading since November’s election. September’s index was 2.3 points below August’s 105.3 reading. Three of the ten index components rose, while six declined. 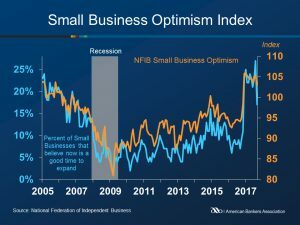 Seventeen percent of business owners surveyed said the next three months was a good time to expand, ten points lower than last month’s reading. The report noted that hurricanes in Florida and Texas made “shopping” impossible for significant parts of two of the largest states. However, recovery spending should provide a significant boost to economic activity in the coming months. Reported job creation slipped two points, as 57% of businesses reported hiring or trying to hire. However, 49% reported few or no qualified applicants for the positions they were trying to fill. Nineteen percent of employers surveyed cited the difficulty of finding qualified workers as their top business problem. A seasonally adjusted net 19% of owners plan to create new jobs, up one point from the previous month. Seasonally adjusted, the net percent of owners expecting better business conditions fell six points to 31%. The percent of owners reporting higher sales in the past three months compared to the prior three months was a net 1%, a two-point decline from August’s reading. Seasonally adjusted, the net percent of owners expecting higher real sales volumes lost twelve points, falling to 15% of owners. Capital spending fell one point as 59% of owners reported capital outlays. The percent of owners planning capital outlays in the next 3 to 6 months decreased five points to 27%. Credit conditions remained historically low, as 2% of owners reported that all their borrowing needs were not met, a one-point decline from August. Only 1% of business owners surveyed reported that financing was their top business problem, compared to 21% citing taxes.